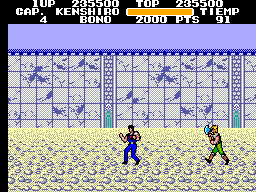 Hokuto no Ken is a game for the Sega Master System that was completely changed for western markets and retitled “Black Belt”. 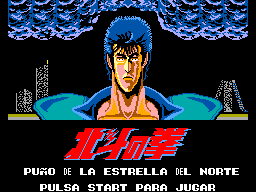 The game is based on a TV anime called Fist of the North Star (Hokuto no Ken). 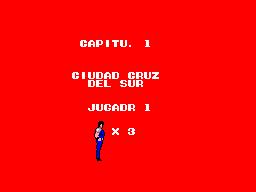 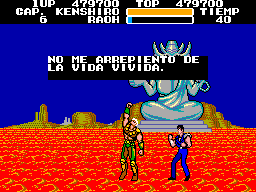 Translation to Spanish for “Hokuto no Ken” for the Sega Master System. 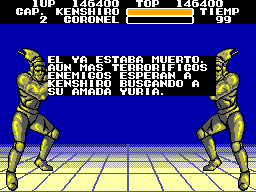 Based on the translation by phalanX.